More than 3 times larger than real money, this information pack on Australian currency will provide a valuable and informative resource for every classroom. 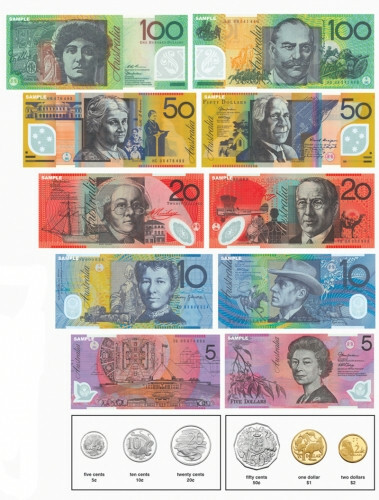 A replication of real Australian currency is represented realistically on one side of each of the cards and, on the other side, is information that will help the children to identify and learn about the famous Australians and unique animals depicted on our currency. Set contains 12 sturdy laminated cards in a plastic storage wallet.